From discovering the rings of Supernova 1987A during his time at the European Southern Observatory (Garching‚ Germany) to pioneering supernova spectropolarimetry in Texas‚ Lifan Wang has followed his passion for cosmology around the world. Wang is the director of the Chinese Center for Antarctic Astronomy (CCAA) responsible for design and deployment of two robotic telescopes to Antarctica – the Chinese Small Telescope ARray (CSTAR) and three Antarctic Survey Telescopes (AST3). Working remotely‚ Wang and collaborators obtained hundreds of thousands of observations of the night sky above the South Pole. Their data is extremely valuable to astronomers studying all kinds of variable stars‚ searching for exoplanets‚ studying dark energy‚ and performing asteroseismology to understand the internal structure of stars. Antarctica could be the most suitable earth-based launch-pad for space astronomy missions‚ used to test‚ develop and validate new technologies . Research discovered that the highest point on the Antarctic Plateau‚ Dome Argus‚ also known as Dome A‚ is the best of these areas. In Feb. 2008 the 24th Chinese Expedition hauled containers full of astronomical equipment that doubled as living quarters through the packed snow to reach Dome A. There‚ skies are darker than most places on earth and temperatures can reach below -80*C‚ but this desolate spot has proven to be the best place on earth for astronomical observations‚ with low sky background and other factors that make the view ideal. CSTAR‚ AST3 and other telescopes at Dome A can be operated remotely for up to 11 months at a time. These advanced instruments are built to withstand extreme conditions and operate robotically to obtain data during the long observation season. Data is also retrieved by annual scientific expeditions that are equipped to make the long journey to the bottom of the globe. With every installation‚ astronomers have been working to increase the functionality and efficiency of telescopes viewing the sky from this remote location. Lifan Wang‚ now also at the Mitchell Institute for Fundamental Physics and Astronomy at Texas A&M (College Station‚ Texas)‚ has worked for decades on the design of the precision instruments as well as the data-processing pipeline for photometry‚ the process astronomers use to identify stars and bring the ratio of signal to noise into balance. This data from Antarctica is now also the basis for the INSTRUMENT: One Antarctic Night (IOAN) project. INSTRUMENT is a multidisciplinary collaboration of astronomers‚ new media artists‚ computational musicians‚ computer scientists‚ and designers whose work will yield an immersive‚ interactive artwork in which the data contributed by Wang and his team is made accessible to the public‚ allowing people to “remix” the data and playback sounds associated with the stars. Wang’s astronomy team‚ comprised of an international partnership between the CCAA and Texas A&M University (TAMU)‚ is integral in helping collaborators on the INSTRUMENT team obtain and understand CSTAR and AST3 data. Scientific team members such as Lingzhi Wang have been working on CSTAR & AST3 data reduction and photometry with CCAA since 2008. Lingzhi is an astronomer at the National Astronomy Observatory of Chinese Academy of Science (NOAC) and a research scholar at the Chinese Academy of Sciences South America Center for Astronomy (CASSACA)‚ Chile. Currently in Santiago‚ Chile‚ Lingzi Wang works in time-domain astronomy including the study of variable stars‚ supernovae‚ and supernovae environments. 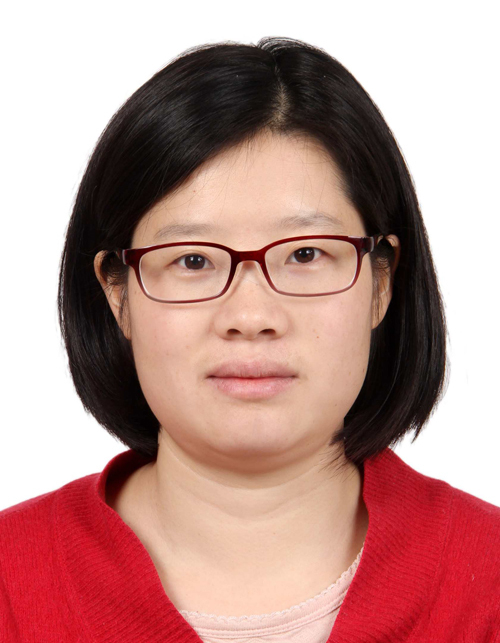 She received a joint PhD from Texas A&M and Beijing Normal University and was in charge of data reduction of CSTAR‚ including aperture photometry and stellar variability. She is also working on data analysis and data reduction on the AST3 team. Participation in an art-science collaboration is about “using new technology‚ whether animations or 3D technology to represent phenomena from astronomical observations‚ to use those animations of 3D immersive technology to understand some very hard physical concepts‚” says Lifan Wang. The goal of the INSTRUMENT project is to not only make the data usable for the public in a way that is immersive‚ entertaining‚ and educational‚ but to create an outcome that scientists can also use to view and listen to their data to gain insights. 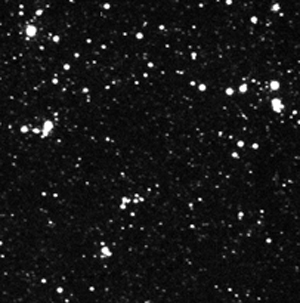 Lifan Wang is not only involved in the robotic telescope observations in Antarctica and advancing data processing and photometry pipelines‚ but also in understanding dark energy‚ looking for traces of the earliest stars in the universe‚ and advancing spectropolarimetry observations of supernovae. Most recently‚ Wang signed on as co-director of the Australia-China Consortium for Astrophysical Research (ACAMAR) as a representative of the National Astronomical Observatories of the Chinese Academy of Sciences (NAOC). ACAMAR is a joint astronomical research center aiding in Australian-Chinese astrophysics collaborations. Wang grew up in the history-rich province of Shaanxi‚ China and began his higher education at the prestigious University of Science and Technology of China (USTC) where he studied electrical engineering. After receiving his degree‚ Wang became a student of the renowned astrophysicist Lizhi Fang. Originally working together at USTC‚ Wang continued on with Fang to the Beijing Astronomical Observatory where Wang first “put his eye to a major telescope” . His doctoral work at the European Southern Observatory (ESO) led to his discovery of Supernova 1987A’s rings. In 1996‚ after joining the astronomy team at the University of Texas at Austin‚ Wang received a Hubble Fellowship from NASA for his proposal of the first systematic program of supernova spectropolarimetry. He has also worked on the Supernova Cosmology Project in San Francisco. Wang is an associate professor of physics and astronomy at the Mitchell Institute for Fundamental Physics and Astronomy at Texas A&M University where he continues groundbreaking work.